Off to a flyer in 2016 with a brewday on the 2nd! Hopefully this will distract that nothing has been brewed since August!! Anyhow, this recipe was a combination of two of my recipes that had gone before it. 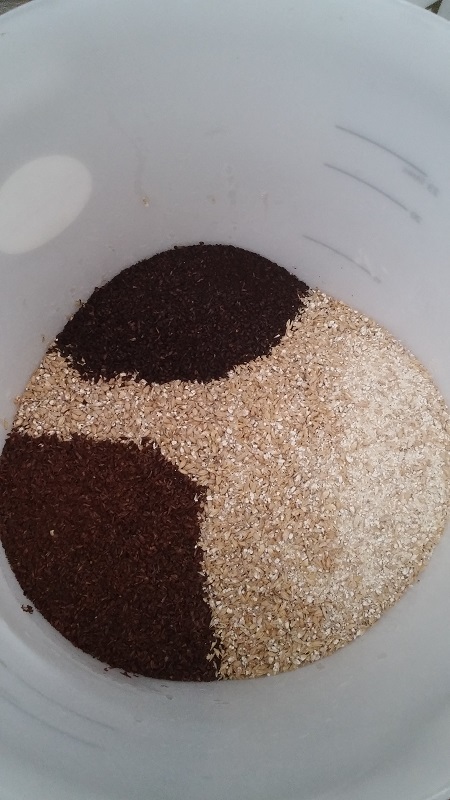 The malt bill is loosely based on the Black IPA from brewday 19 but with a couple of small tweaks to fit what I grains I have to hand, and the hops are from my Jaipur clone from brewday 23. A little bit lazy on the design front I suppose but that’s what you get for designing a beer on New Years Day! This should come out around 5.5% all things considered, and this time I even had an assistant brewer to help me out on the day, though for some reason this meant I took even less photos than normal! During the brewday we hit the mash numbers pretty accurately ending up with 500ml up volume and 2points down on gravity however by the end of the boil it ended up 1l down on volume and 8 points down on OG. Perhaps the boil was particularly vigorous on this one but more likely this seems to be down to my boil data input into Beersmith so I need to investigate this more to try and iron out this issue in the future. Fingers crossed for a good fermentation to hit target ABV!